Instagram users have long asked for the ability to share Instagram posts by other people. 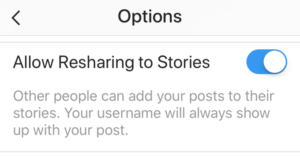 That feature isn’t available within Instagram yet, but the social media giant recently started testing something close: the ability to share Instagram posts by others to your own Instagram Stories. 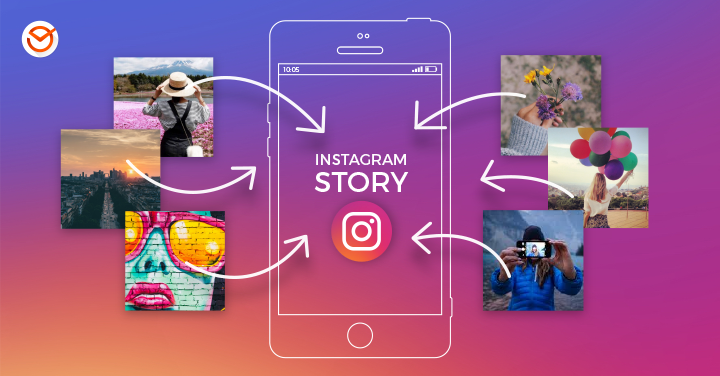 As the popularity of Instagram Stories increases, this is a great way to distribute high-quality content and tell your brand’s story in a different way. 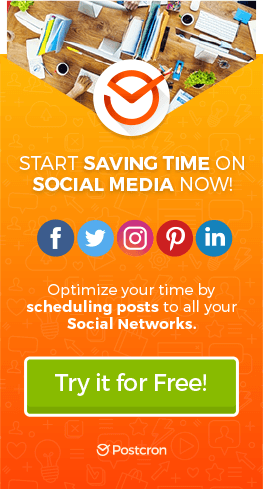 We’ll review how this feature works and how you can use it effectively as part of your social media strategy. This feature is new and it’s being rolled out slowly. To check if your account has the feature, tap any Instagram post (including one of your own), then tap the paper airplane icon. If you see an option that says “Add Post to Your Story,” that means you have the feature. Even if you don’t have access yet, stay with us to learn how it works and for tips on what to consider before you start adding posts to your Instagram Stories. Ready? To get started, select the post you want to add, then tap the paper airplane icon to send the post to your Instagram story. This will open a new window that looks similar to your regular Instagram story window but with a few small differences that we’ll describe below. When you share a post to your Instagram story, Instagram will add a different colored background, which you can adjust. To change it, tap the pencil icon and choose your new color. Next, tap and hold the current background color of the post to replace it with the new color. This piece by the Social Media Examiner shows exactly how this works. And, of course, you can use Instagram’s regular story features to crop or edit the photo and add embellishments such as stickers, text, and frames. Right now, unlike Facebook and Twitter, Instagram doesn’t tag the original poster when you share their post to your story. In this case, it shows good social media manners to add a text box to tag the original poster. That way, they will receive a notification that you have shared their post, and you are giving credit where it’s due. Once you’ve done that—along with any other additions you want to make—you upload it just like you would a regular story. To see this in action, check out this short video from TechCrunch. When you share a post to your Instagram story, people can comment on the story, just like they can for regular stories. They can also interact with the original post by tapping the post in your story, which will take them to the original post on that user’s page. Even though this tool is great for sharing content—including yours—there might be cases where you don’t want someone to share your posts to their story. For this reason, Instagram gives you the ability to turn off sharing. Note: you can do this now even if you don’t currently have the ability to share other people’s posts. You can adjust your privacy settings by clicking on the gear icon. Scroll down to “Allow Others to Reshare.” If the slider for this option is on (shown in blue), people can share your posts. If you want to disable this feature, just tap the slider to turn it off. Now that we’ve covered the etiquette and the how-to, here are some strategies to put this into practice. Here are five kinds of posts that you can share to your Instagram Stories to complement your social media marketing plan. 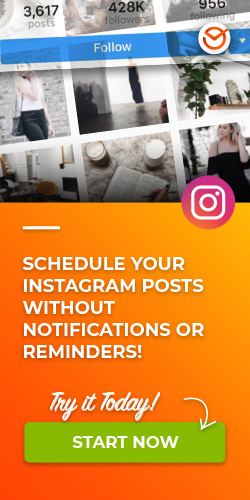 If your Instagram followers post photos or videos of them using your product or service, ask their permission to share those posts to your Instagram story. This will add credibility to your brand because the posts are genuine and organic—the very best kind of testimonial! If your industry or community holds events that would be interesting to your followers, this is a great way to spread the news. Being a source of high-quality information will increase the value you offer to your followers. Sharing educational material from thought leaders in your industry is another way you can add value for your audience. Don’t forget to ask for permission first. Bonus: by asking to share their material, they might reciprocate by sharing your material. If you follow industry news, you can be the first to share important developments with your audience. Together with the above strategies, this can increase your audience’s desire to stay connected with you. Finally, you can also expand the reach of your own Instagram posts by sharing them to your Instagram Stories. Be selective about which ones you share so that your stories don’t just duplicate your regular feed. Also, be creative! Think about older posts that might be relevant again because of something in the news. Or consider posts that generated a lot of engagement. Before you share it to your Instagram story, ask yourself, “What extra value does this add right now?” If you have a good answer, then share it! Need a refresher on using Instagram stories? Review our post on how to schedule engaging Instagram Stories. Have you already started to share Instagram posts to your Instagram Stories? Share your experience in the comments below!